I just got a robocall telling me to vote for Dino Rossi. "Patty Murray is a Washington, D.C. insider", the authoritative male voice said. "She's on Harry Reid's side." Rossi, I was assured, would stand up to Reid and the rest of the inside-the-Beltway establishment. He'll do what's in the best interests of the people of Washington. Washington state, that is. Only problem (besides the fact that I wouldn't vote for Rossi even if I could) is that I'm in New York, a continent away. If this is how the Republicans handle targeting their robocalls, maybe they need some lessons from the NRA. Is there a pot of gold in Park Slope, Brooklyn? Photo taken by my wife from an office on Garfield Place, Brooklyn, yesterday afternoon. With both the Phillies and Rays eliminated, I lost both teams I could have a strong reason (Tampa is my old home town; Pennsylvania my native state) to support in this year's World Series. With the Yankees out, I also lost the one team I loathe (actually, in the interest of boosting the local economy, I was rooting for the Yanks to win the AL championship, then lose the Series in seven games to either the Giants or Phils). 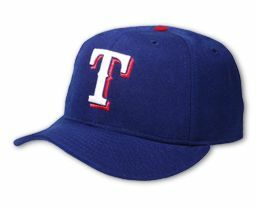 So, I'm left to decide between the Giants and the Rangers, or simply to sit back and watch without taking sides. Reasons for supporting the Giants: (1) they are the representative of the Real Baseball League, as opposed to the Designated Hitter League; (2) my maternal grandfather was born and raised in California, so I'm one of those odd people who can claim roots there without ever having been a resdient; (3) my earliest baseball memory is of Willie Mays making a spectacular catch in the 1954 Series (New York Giants vs. Cleveland Indians); and (4) I love San Francisco. Reasons for supporting the Rangers: (1) they're scrappy, low-salary underdogs; and (2) I love Texas (really; scroll down to the addendum to the linked post). By a score of 4-2, the Giants win my loyalty. Update: So far, so good. 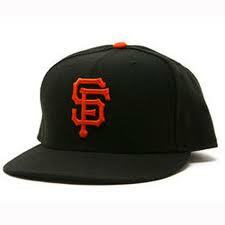 Giants dodge one Cliff Lee bullet. Second update: Giants "Cain" rangers, 9-0 to take 2-0 Series lead.